Nice weather usually means eating more delicious fruits and vegetables. Why not seize the chance to grow your own together with your children? 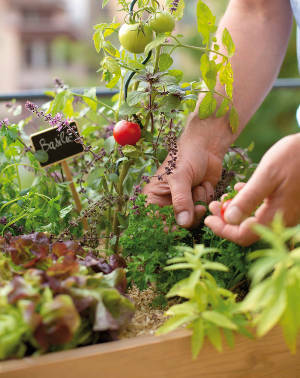 Having your own vegetable patch is far from being old-fashioned. Actually, there’s nothing more trendy at the moment! 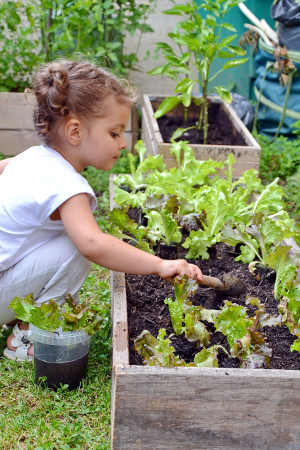 More and more families try to set aside a small patch in their garden to grow radishes, lettuce, tomatoes, string beans, strawberries or raspberries. What triggers this? Strong motivations and desires: control where produce comes from to benefit from healthier food, lower the food budget, follow the do-it-yourself trend and the hope to share moments with the upcoming generation. The vegetable patch is the exact opposite of televisions, pads and all the other screens that isolate family members from each other. Growing gathers people together! Whatever the age, something is always within reach. The vegetable patch becomes a place for togetherness. Not only are you spending time with your children and producing something together, you’re also teaching them a bit of what Mother Nature can offer! 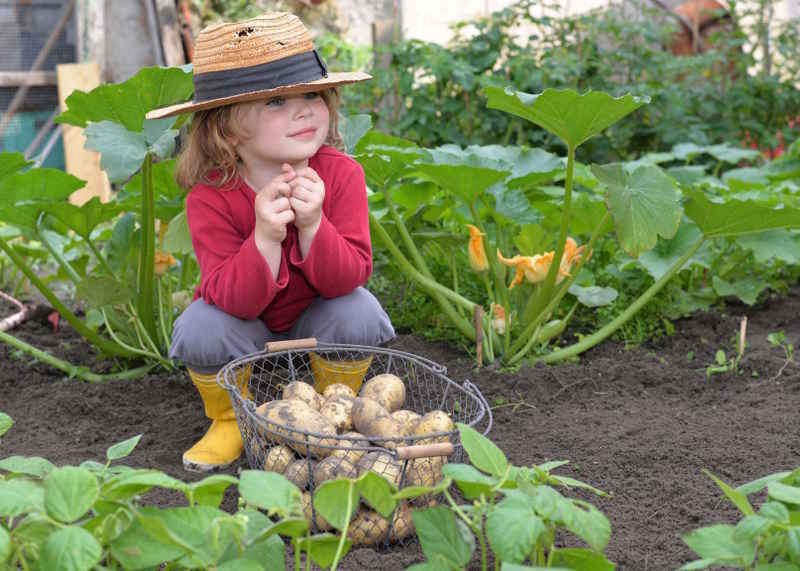 However, for the goals to be met, it mustn’t become a chore for your children to follow you to the garden for frustrating boring activities like weeding, watering and harvesting. Involve them from the start of the adventure! Don’t forget to prepare the activity! 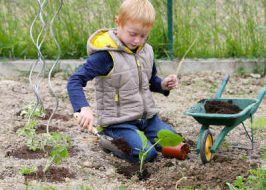 A good way to involve your children is to draw your future vegetable patch up and decide what you want to plant in it together. Smart tip: at the beginning, choose plants that grow fast such as radishes, lettuce, beans, carrots and spinach. And what if they don’t like “green things”? If you’re lucky, this might change once they have the chance to taste their very own harvest. After having designed the vegetable patch, work together to prepare the soil. There, too, you can ease the work for them by finding a sturdy gardening kit that matches their age and size. Today, in almost every gardening store, you can find child-size watering cans, spades, hand hoes, planters that are specifically designed for easy handling. Then the nicest part comes around… time to plant! It really gets down to earth for your kids. 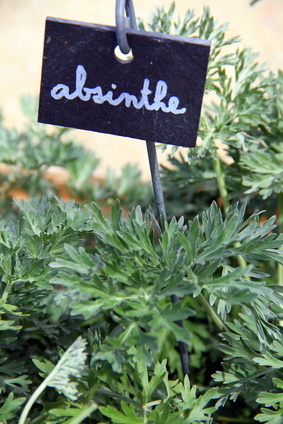 For everything to get even more real, craft labels with them that describe the name of the plant or include a drawing of it, and add the date of planting and how often it needs to be watered. That way, in the following days, they’ll be equipped to take on a little initiative of their own and decide when to water their vegetable patch themselves. 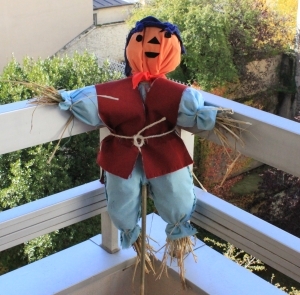 After some time comes the harvest season: the culmination of all the work they’ve provided! Encourage them to pull a radish out every now and then to taste their harvest… No spurring needed for strawberries, though! And if you and your children are willing to go a step further, you can even cook and bake together with the fruit of their garden plot. Why not for a meal to which you’ll have invited family and friends over? The pride they’ll show when the dinner bell rings will be a priceless memory! Hello! Thanks for your comment – for sure, gardening is a great way to teach children the importance of growing food. Personally, I find that growing food is one of the most noble activities one can have. And being hands-on is always interesting for kids across the world! What would you try to grow with children in Sri Lanka? Every child must be an Environmental lover.